Excellent barcode maker utility creates barcode images and saves generated images into different graphic formats such as Bitmap, png, bmp, tiff, jpeg, wmf, emf, exif and gif. Business barcode label generator software supports all barcode industries specific font including Aztec, Databar, Codabar, Code 128 SET C, ISBN, UPCA, Datamatrix, Maxicode, UCC/EAN-128, USS-93, Code 93, Planet, Postnet and many more standard linear and 2D fonts. 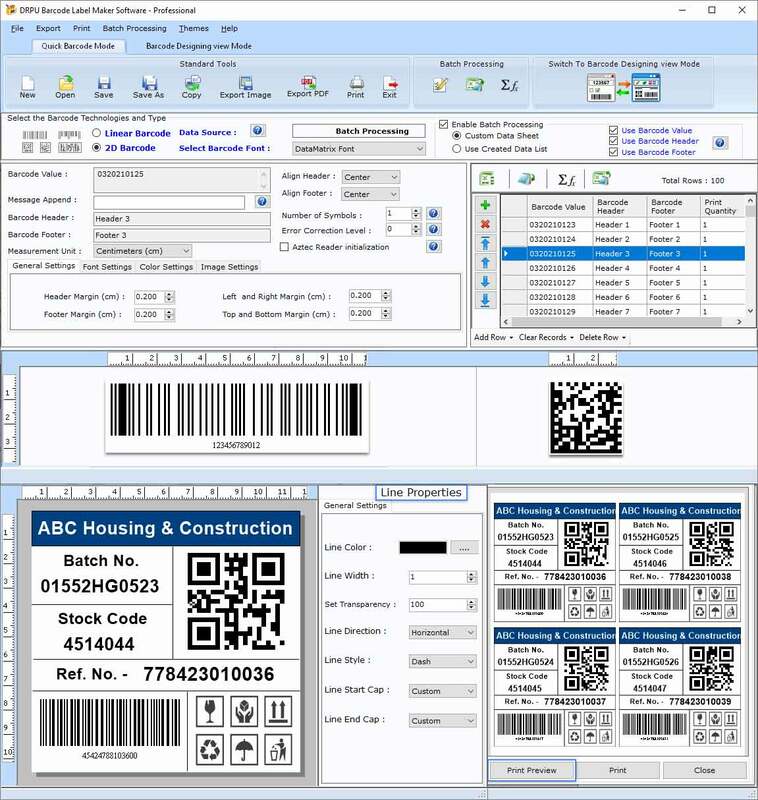 Multipurpose barcode designing application supports all latest Windows operating system including Windows 7, vista, XP, server 2008, 2010 etc. Professional barcode image generator software creates bulk barcode labels and stickers for barcode oriented business areas. Perfect barcode designing application generates customized barcodes by using various barcode designing objects including barcode height, width, space, line, colors, fonts, background images, alignment, caption size, layout and many more barcode designing options and advanced bar coding patterns. Professional barcode label designing wizard need minimum system requirements, configuration and disk space for installation. Barcodes designing application provides facility to view actual barcode design before printing. Feature: * Barcode label maker utility generates different series of barcode list by using various list generating methods including Sequential series, Random series and Constant value series. * Professional barcodes creator tool uses wide ranges of barcode designing objects such as Text, line, Picture, ellipse, rectangle, pencil and circle. * Expert barcode labels generating application supports barcode batch process option for instant barcode designing. * Business barcode maker software supports different alphabetic, alphanumeric and special characters to design customized barcodes.